Chair of the Rachel's Tomb Heritage Fund calls on the government to restore security to Rachel’s Tomb by declaring it a heritage site. Miriam Adani, Chair of the Rachel's Tomb Heritage Fund, called on the Israeli government on Tuesday to restore security to Rachel’s Tomb. Dozens of Arabs went on the rampage outside Rachel's Tomb on Tuesday, effectively besieging Jews inside the compound, who were told by security forces not to venture out. The compound was closed off to visitors several times during the day, due to massive rock throwing attacks. The compound was also closed to worshippers Monday afternoon after masked Arab rioters threw stones at the entrance of the holy site. Adani told Arutz Sheva that the Prime Minister refuses to recognize Rachel's Tomb as a heritage site and provide it with funding as such, something which she said would help solve the security problems. Adani said that a wealthy hareidi man from Cleveland recently invested five million dollars in renovating the tomb. The Prime Minister's Office told Arutz Sheva in response that last February a ministerial committee approved the addition of several projects to the heritage site program, including Rachel's Tomb and the Cave of the Patriarchs. 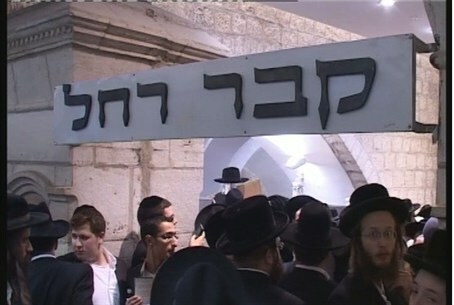 The PMO added that in recent months Rachel's Tomb has been undergoing renovations for the benefit of the tens of thousands of visitors who come to the compound. While in the last year there has been relative calm in the area, within recent weeks several violent incidents have been reported, including pipe bombs thrown at Jewish worshippers. The attacks did not result in any casualties.